Ten metres has been really lively today. I made several contacts including some with the USA. 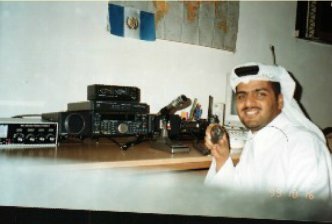 The highlight was working Osama, 9K2OD in Kuwait City who came back to my first call (SSB) even though he had a bit of a pile-up! Perhaps my attic dipole and QTH are not so shabby after all! It's great to experience propagation conditions like this again and it cheers me up no end. Real radio therapy! Glad to hear your enjoying your station. "Real radio therapy" indeed.